I hope everyone had a happy and safe Halloween, and is enjoying the beautiful fall weather. October showed great progress down in Trenton on several pieces of legislation, including a bill I have sponsored to allow towns to choose their utility providers. The start of November can only mean one thing - Elections! I've included a section with information on the new absentee ballot laws, voting locations, and other election information to encourage you to get out to the polls on Tuesday. Other news from the District is included below. From ribbon cuttings, to speaking on the radio, to hosting town-hall discussions, it is truly an honor to be invited to join in these special days and it is a privilege to represent and help my constituents. I've also included a brief section detailing November's observance as Veterans Day. Finally, our Spotlight feature this month highlights Isabella Galan of Wayne. I hope you enjoy this month's Quorum Call ! One 12-to-14-pound cured smoked bone-in ham. Preheat oven to 350°. Place Ham on cutting board, score the top fat side with a knife, cutting down about ½ inch in the pattern of a grid. This will allow the glaze to season beneath the surface of the ham. Place the ham on a roasting rack; add to roasting pan, set the ham aside to rest at room temperature approximately 30 minutes. Add two cups of water to the bottom of the roasting pan to help keep the ham moist as it roasts, place in oven. In a small saucepan, simmer the apple cider until it is reduced to 1 cup and has thickened. Stir in the honey, brandy/bourbon, brown sugar, thyme sprigs and sliced shallots. Bring the mixture back to a simmer and reduce the glaze back to 1 cup. Remove the saucepan from the heat and strain. Discard the shallots and thyme sprigs. Stir the whole-grain mustard and butter into glaze add salt and pepper to taste. 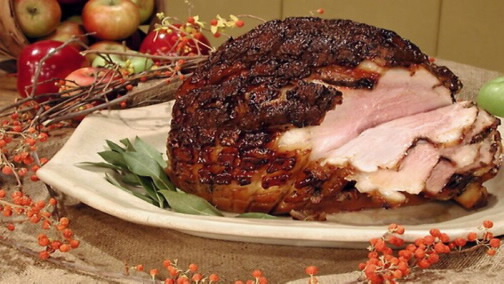 Brush the ham with half the glaze and roast, baste ham every 20 minutes with pan juices. After one-hour brush the remaining glaze over the ham. Tent with foil if browning too quickly, roast until temperature of ham registers 135°, 1½ to 2 hours. Remove the ham from the oven and allow it to rest for at least 30 minutes. Slice the ham and serve with favorite side dishes. Here is some of my recent activity at the State House. Here is some important information including how to look up where to vote, making sure you are registered to vote, who the candidates are, and explanations about the new absentee ballot law. If you have any questions, please contact our office and we can help direct you to the right answer. 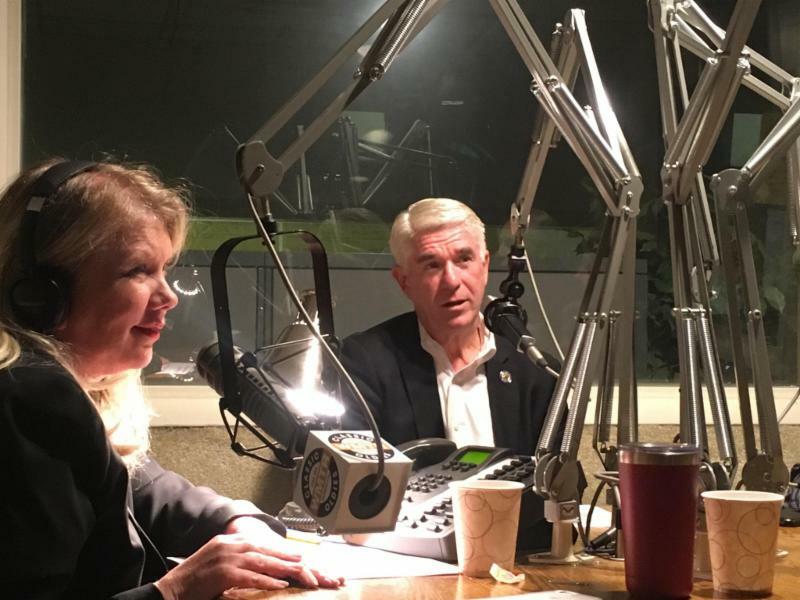 I was featured on WMTR’s "Your New Jersey Connection" political Roundtable show. It’s important to have productive conversations like the ones we had today with Democrats and Republicans to understand the issues. We spoke on about several national and state topics including, interest rates, the midterm elections, the bear hunt in NJ, and the status of my legislation to hold polluters accountable. 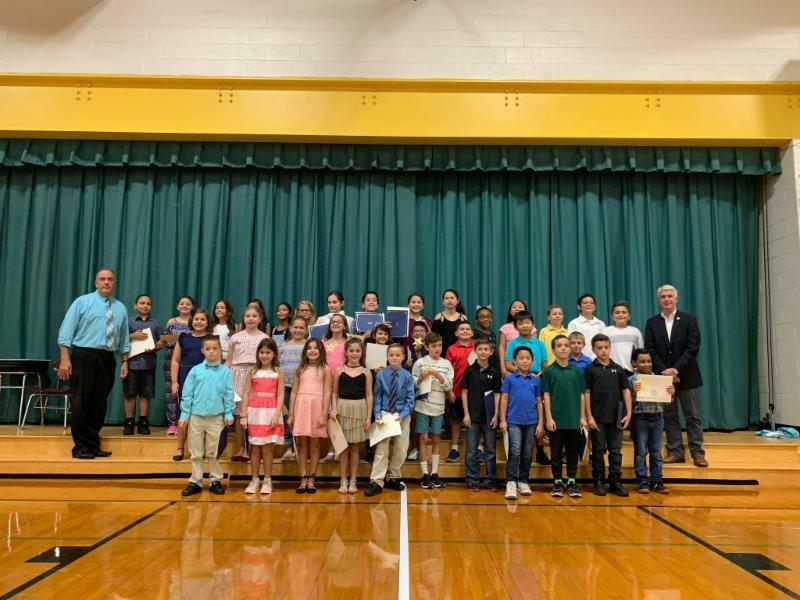 It was my honor to swear in the 2018-2019 Student Council Representatives at the James Fallon School. More than 120 students ran for student council this year which is the most candidates they have ever had. It takes a lot of courage to run and know that you may not win. All of the students who ran this year should be incredibly proud of their work. 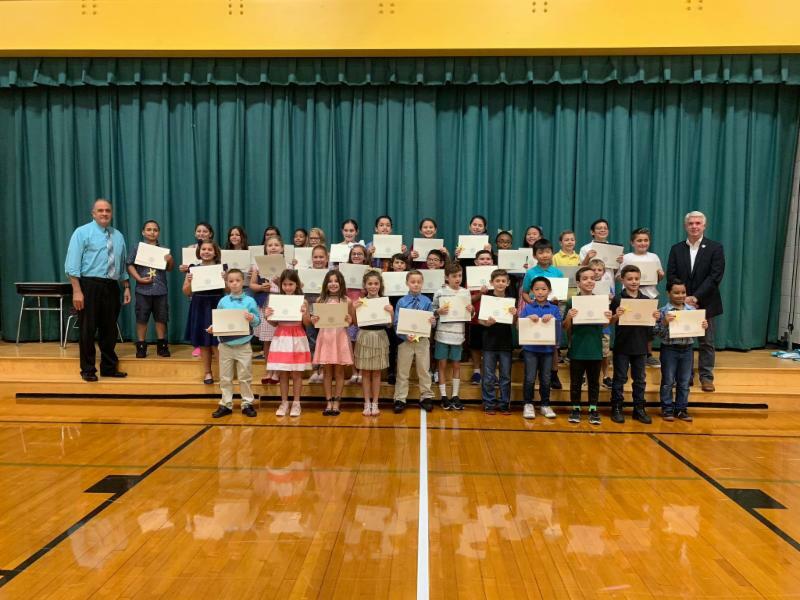 Last Friday, the student body elected 35 representatives from third, fourth, and fifth grades. Members of the student council must be dependable, keep up with school work, be punctual, follow rules, display appropriate behavior, show respect to all, and be cooperative. Members of the student council will attend meetings before school and during lunch to represent their fellow classmates with the Principal and teachers. They will also be in charge of handling several tasks and organizing projects throughout the school. Congratulations to the new Student Council Representatives, and best of luck in your new roles! 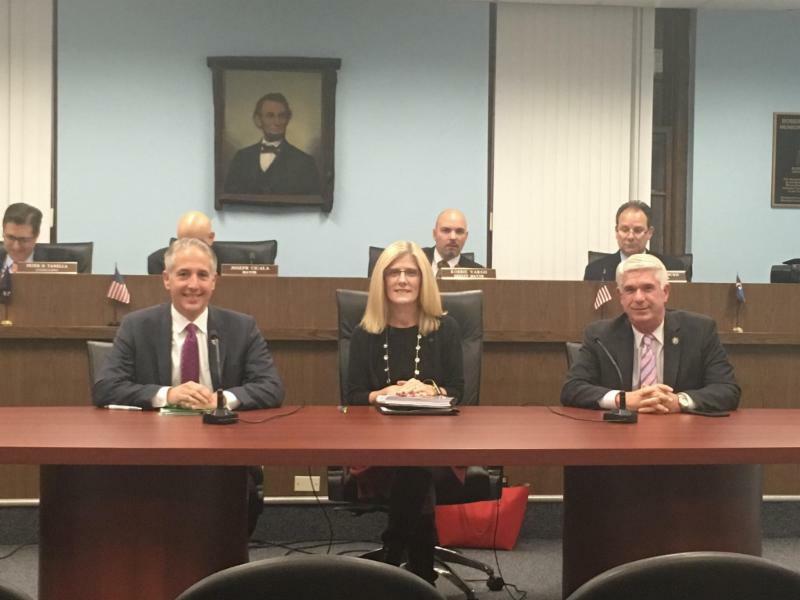 Senator Kristin M. Corrado , Assemblyman Christopher DePhillips and I attended the Cedar Grove Council Meeting along with special counsel Mark Semeraro to discuss and answer questions regarding the impact of Affordable Housing obligations on Cedar Grove and all municipalities throughout the state. Veterans Day gives Americans the opportunity to celebrate the bravery and sacrifice of all U.S. veterans. However, most Americans confuse this holiday with Memorial Day, reports the Department of Veterans Affairs. What's more, some Americans don't know why we commemorate our Veterans on Nov.11. It's imperative that all Americans know the history of Veterans Day so that we can honor our former service members properly. This month our Spotlight feature highlights Isabella Galan of Wayne! An honor student, a member of National Junior Honor Society and Vice President of her school's Student Council, community service is a big part of her life. As a competitive dancer, Isabella Galan wanted to share her passion for dance and help defray the cost of dance apparel to those in need. In September of 2015, she started a project called "The Dancer's Closet." She collected gently used dance apparel and dance shoes from her family and friends. The purpose of this project was to help reduce the cost of dance items for fellow dancers. After about a year, she was able to donate about 100 pairs of dance shoes and lots of leotards and tights to a new dance school in Sussex County called Dream Dance Xtreme. She was extremely happy to know that she was able to help defray the cost of dance items for families. In March of 2017, she heard about the New Roberto Clemente Middle School in Paterson that was in need of books. As an honor student, she knew the importance of reading and decided to help and organize a book drive. With the help of her friends, family, Rev. Dr. Karyn Ratcliffe, and the community she was able to collect and deliver over 2,000 books! With the help of Vilmary Hernandez, the school's community coordinator who organized an assembly at the school, Isabella was able to speak to her peers about the importance of reading and confidence. In May of 2017, Isabella's teacher, Mrs. Gawlik taught her how to knit hats. Shortly thereafter, Isabella came across an article from an organization called Click for Babies. Click for babies is a campaign to bring awareness to the Period of Purple Crying and the harmful effects of Shaken Baby Syndrome. She felt the need to help this organization and asked her teacher if they can start a knitting club in school to teach her peers how to knit purple baby caps. She organized her first Knit-a-thon September 16th, 2017 with the help of Father Dan from Immaculate Heart Mary at the church's meeting room. Last year, with the help of the community she was able to donate 316 purple baby caps to New Jersey Prevent Child Abuse. This year, on September 15th, she organized her second annual Knit-a- thon at Immaculate Heart of Mary and with the help of the community she was able to donate 375 baby caps to Click for Babies- Prevent Child Abuse New Jersey. Isabella's goal is to continue to support Click for Babies with a yearly knit-a-thon, and next year she plans to organize an additional Knit-a-thon in South Jersey. It is an honor to recognize Isabella for her hard work to help her community, and to her dedication to giving back. Thank you, Isabella, for all that you do! 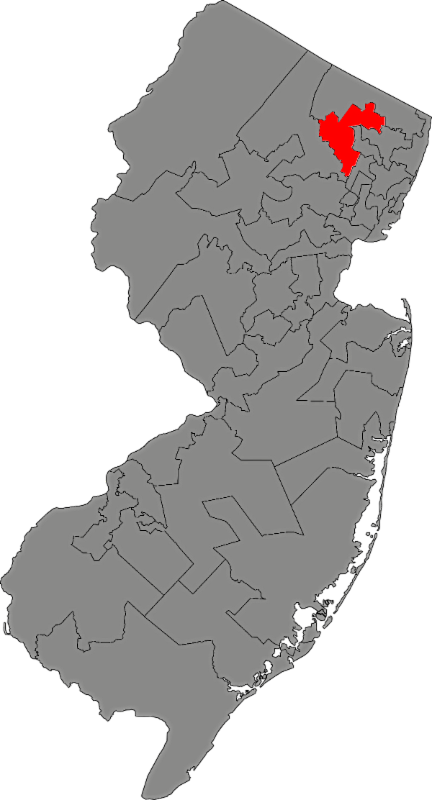 Spotlight highlights accomplishments of people throughout District 40. Each month, this section will recognize a person or persons for their achievement, and will be chosen at random. Do you have someone you would like to nominate to be in the next month's Spotlight ? Click the button below to fill out a submission form.